Heard of Reuthe’s? Charmingly referred to as the Lost Gardens of Sevenoaks, this historic gardens and plant collection opened up to the public earlier this year, having been lovingly restored by local plantsman Oliver Schneider and his wife Claire. 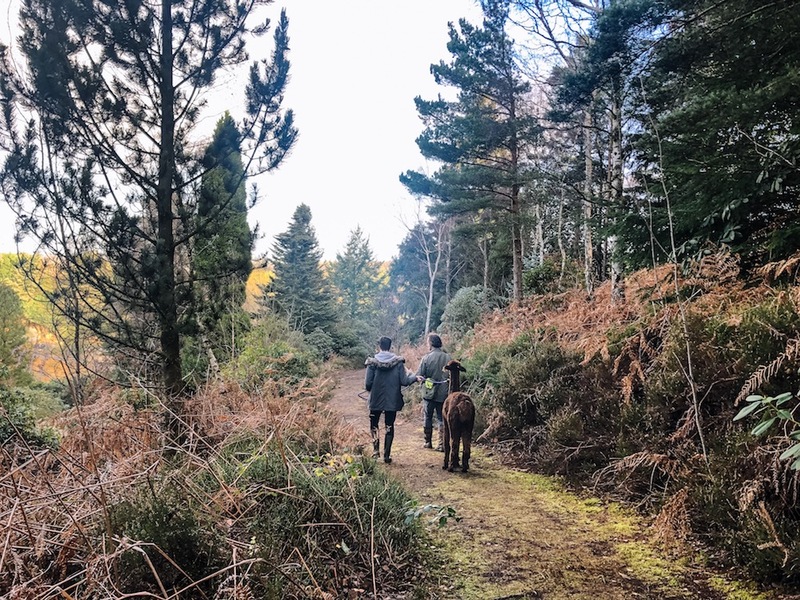 Now this stunning 11 acres of ancient woodland, part of the horticultural wonder that is Green Sand Ridge in the Weald of Kent, has become the latest hang out for local families looking for outside adventure, cool, quirky events and tasty refreshments. 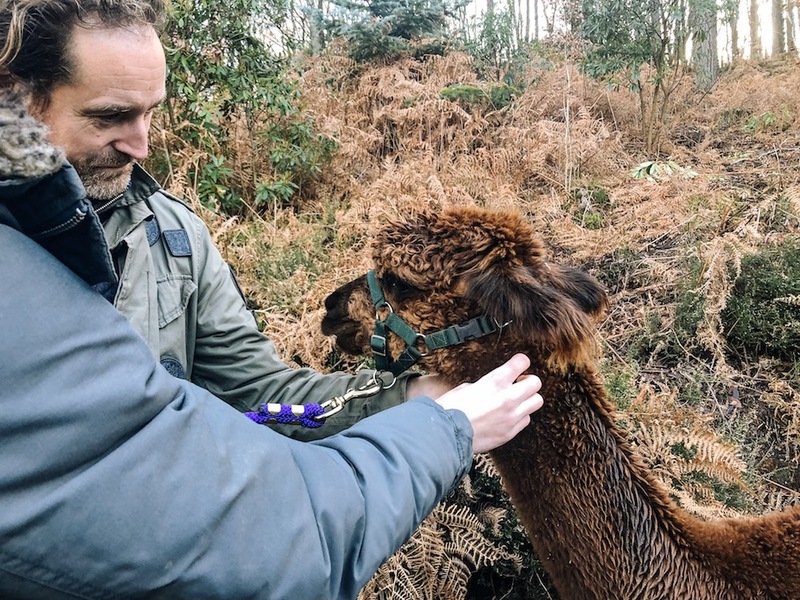 And, for the festive period only, Reuthe’s are offering the chance to explore the gardens on an Alpaca Trek. Meet these adorable furry friends and let them lead you and your kids on a one-hour guided trek. 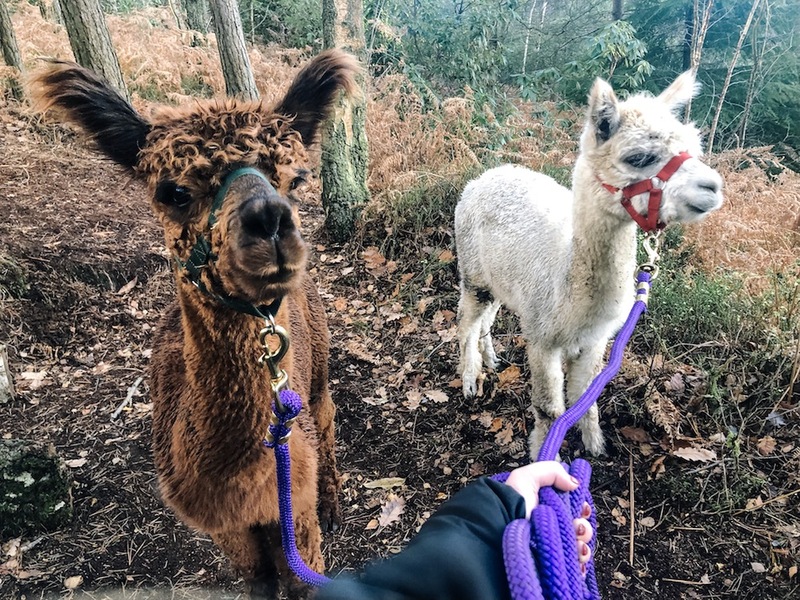 The travel through the woods will be followed by a woodland-themed Christmas decoration craft workshop and story time with Christmas Tree Hot Chocolate in a yurt and alpaca-shaped gingerbread biscuits. 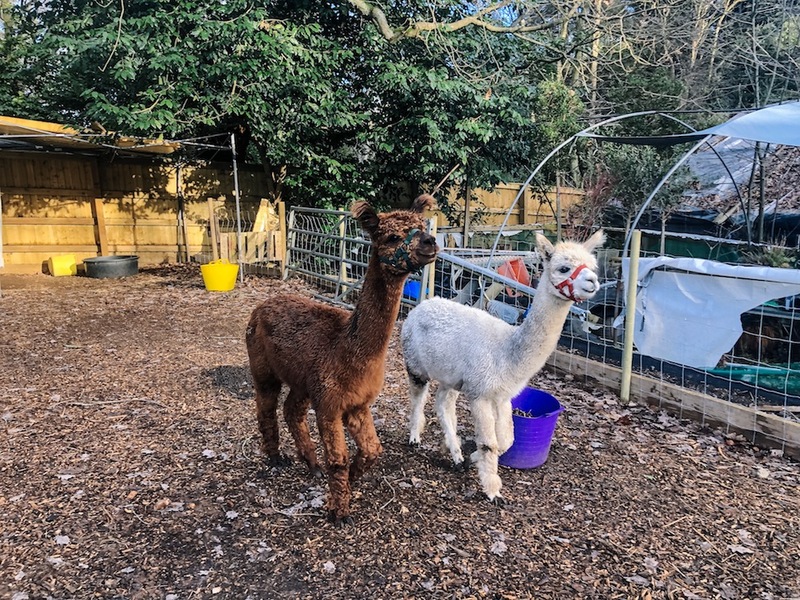 We sent Muddy Stilettos editorial assistant, Mollie Manning, to grab her wellies and snuggle up to these two cheeky characters. Here she is having a cuddle, while they eye up her bobble hat. So what did Mollie think? We had such a fun morning, it was the perfect day-out! Oliver, who led the trek, was very informative and showed us where the famous rhododendrons are, now the most gorgeous shade of red. Along the trek, Oliver led us up a steep hill which is apparently one of the highest point of Kent’s North Downs and the view, through the trees, was incredible. 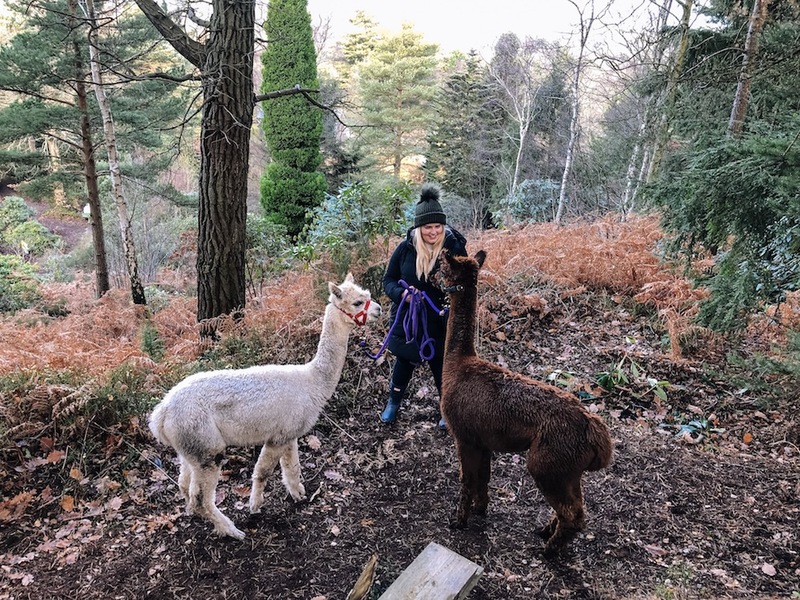 I’m a massive animal-lover and meeting these teddy-bear Alpacas was such a treat! 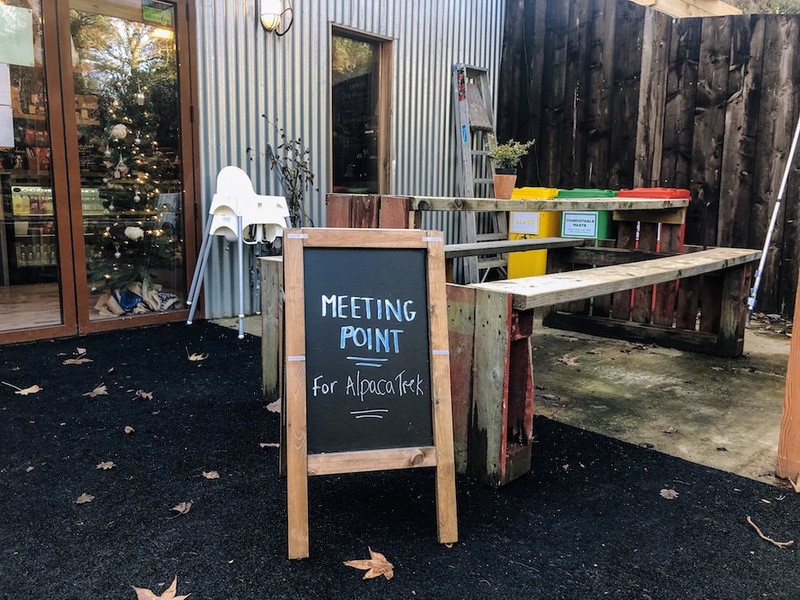 After we led the Alpacas back into their pen and waved goodbye to our new friends, we headed to The Basecamp café (open Tues-Sun for delicious coffees, cakes and lunches). It’s the perfect place for refuelling with tasty homemade treats or food foraged from the garden when in season – Oliver and Claire have created a range of jam and honey from the orchard and bee hives. We warmed up with a hot chocolate with cream and marshmallows (obvs) and sat outside with this gorgeous view. If you haven’t discovered this place yet, it’s time to get exploring. Go paca your bag! (he, he).